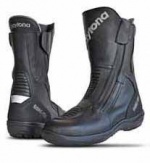 The FAST BIKES MAGAZINE writes: Simply put, Daytona are the daddies at making motorcycle boots. They're not distracted by manufacturing other kit, so are devoted to bringing you the ultimate in safety. 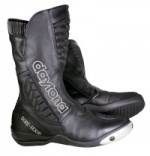 Many racers sacrifice paid contracts just to have Daytona's top-quality product. Usually top end on price but clearly top-end in results, too. 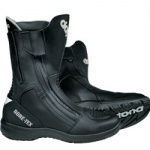 Warming your tootsies from the kings of safety are the new Road Stars - not the sexiest jiving boots, but packed full of protection and assurance with their patented inner/outer booties.